1. Log-in your Sribu account, click the "profile" icon at the upper right corner of the website. Select "Transaction" in the dropdown menu. 2. 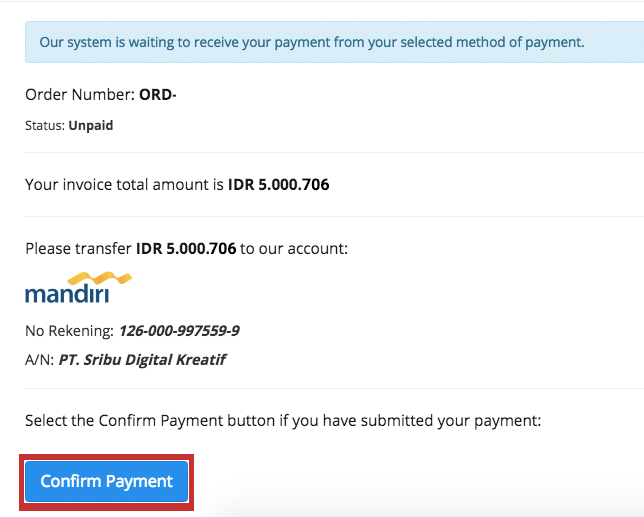 Click "Confirm payment" at invoice page. 3. 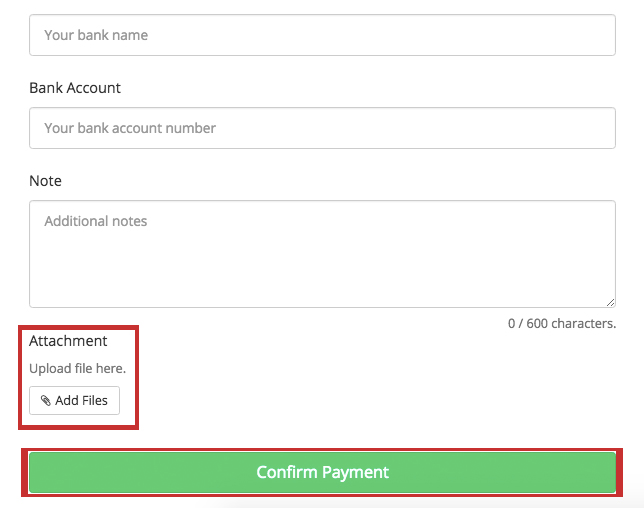 Fill in the required information and attach your payment receipt (optional) to swift the process. 4. Sribu will check your payment and run your contest immediately. You will also receive an email for payment confirmation.